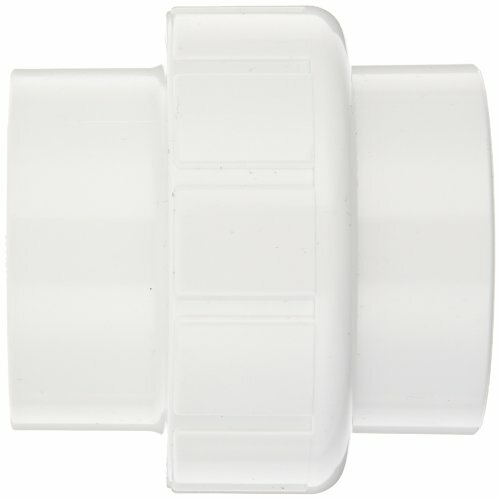 Size: -- Choose Size -- 1" 1-1/2" 1-1/4" 1/2" 2" 3/4"
This Spears schedule 40 PVC union fitting has socket openings on both ends, and is suitable for connecting two pipes. The socket ends connect to pipes with a smooth bore for enhanced flow. 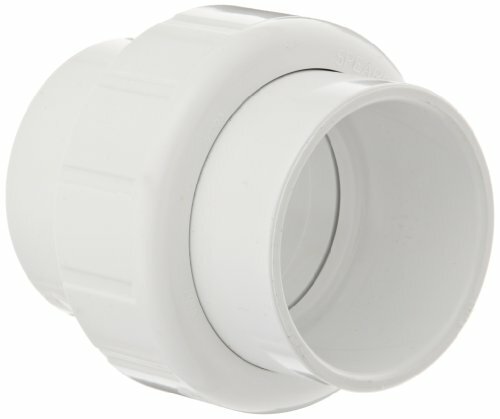 The fitting has three pieces and includes a threaded connection that can be screwed or unscrewed to connect or disconnect pipes more easily than with couplings. It is made of white PVC (polyvinyl chloride) for chemical and corrosion resistance, high strength, and less weight than fittings made from metal, and has an EPDM (ethylene propylene diene monomer) seal for resistance to oil, water, and some solvents. It is compatible with schedule 40 PVC pipes and fittings and is suitable for cold-water pressure distribution systems including irrigation, pool and spa, potable water, and chilled water applications. PVC can be connected to other materials such as steel, copper, or cast iron using transition fittings. 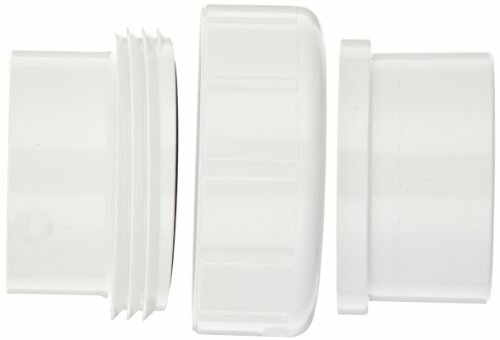 The fitting has a maximum operating temperature of 140 degrees F, and a maximum pressure rating of 150 pounds per square inch (psi) at 73 degrees F. It meets ASTM International D1784 and D2466 standards for quality assurance, and is certified by National Sanitation Foundation International (NSF) for potable water service. 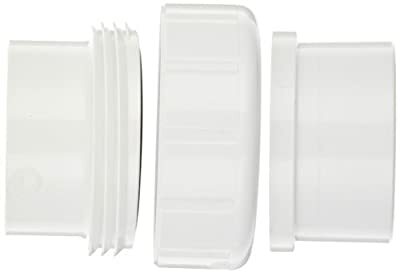 This schedule 40 PVC union fitting is suitable for connecting pipes for conveying drinking water, waste water, chemicals, and other liquids in a range of industries.